Honors College affiliation will be noted in the graduation program and on the student's diploma and transcript. 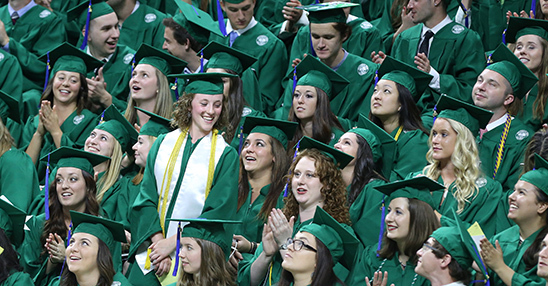 Each graduating member wears an Honors College stole during the commencement ceremonies. In order to receive this recognition upon graduation from Michigan State University, an Honors College student must complete an Honors College Academic Progress Plan (HCAPP) every year (due in May), complete at least eight Honors experiences (10 if the student is pursuing a second degree and wants Honors College notation on that as well), fulfill the Honors College General Education Requirements and have earned a cumulative grade point average of at least 3.2.